Do you believe in saving your natural resources like the way you believe in saving your finances for future? Well if ‘No’ than it’s time to think about it , your simple thought on saving your resources today can work as an effective mean of availing these resources for your next generation. We all know that the rapid use of non renewable resources can deplete these resources in such a way that they won’t be available much for use in the near future. So to conserve these resources for us and for our future generation it’s now time to bring advancement to our thoughts. There cannot be a better way to commence this advancement than to look for an alternative option that works not only to meet energy demands but works to save non renewable resources for future. ADLER here comes as an alternative to solve the ever rising energy demand. They not only work to care for our future but they work to save our resources too. They make an abundance use of solar energy which works as a prolific alternative to save our non renewable resources. They make solar panels which efficiently utilize solar radiation to produce electricity. Thus they provide valuable services to remote and rural areas where it would be expensive to supply electricity from the main utility line. Beside their services to rural areas they also work to bring down the electricity bills in urban areas. 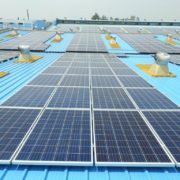 By installing their solar panels in home or at factories the reduction in electricity bill is confirmed with guarantee. The use of solar panels not only works to bring advancement to keystone state but they also work to build in technology in rural states. ADLER group upholds the vision of making renewable energy accessible to all and thus works to improve not only the income but works for the productivity of people. They work to make advantages of solar energy through their solar panel which can be used in conjunction of traditional energy sources which is remarkably renewable. The ever-growing energy requirement and reducing natural resources, has let them get into the thinking of an alternative that meets energy demand and thus they came with an enhanced solution of using solar energy. They use solar energy which is in abundance amount and which does not affect the earth or the people living in it. Now the big question is how to channelize this solar energy and thus here ADLER as an industry works to produce highest quality of solar panels both for commercial and domestic purpose. 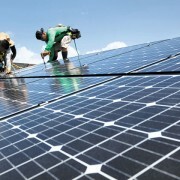 They work for easy setup of solar panels that too with less maintenance and that affects huge cost cutting. Thus it will let the customer know that switching to solar energy does not only meet their energy demand but has a huge impact on the environment. By being the part of the initiative taken by ADLER to switch to alternative resources, one should be proud of the fact that he/she is making an effort to make the future for coming generation a better place to live. So contact ADLER representative for installing solar panels at your home and factories, for a better today- and a safer tomorrow. ADLER Group is a leading solar company dealing in solar products and providing complete solar energy solutions. You’ve come to the right place – give us a call! 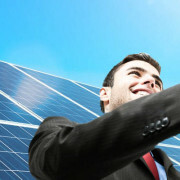 We are ADLER SOLAR ENERGY SOLUTIONS. 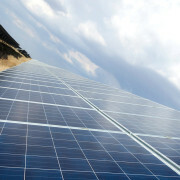 We are here to help you find the best solar solutions for your home, company or farm. We set up the technology to help you achieve a daily change and save money . Give us a call if you want to exchange ideas, experiences and questions about solar energy solutions. We are the number 1 solar energy solution provider. same time provides the best possible alternative for traditional energy resources. help of an expert team. back to you with a proper solution at earliest. Solar energy is probably the oldest and most reliable source of energy on earth, but still, we fail to acknowledge its importance. While businesses and individuals pay huge money to the government in the form of electricity bills month after month, they forget that solar doesn’t need to be created in powerhouses; thus it can fulfill their requirements at much less cost. If they switch to solar today, they can reduce their monthly electricity expenses by more than 90%. However, it’s easier said than done. Due to lack of awareness and inability to make the first move, they keep delaying their plans with regard to solar energy. It’s the same story with almost everyone. That’s the reason Adler Group has decided to take the responsibility to spread the word about solar energy and help people and businesses switch to solar in a hassle-free manner. 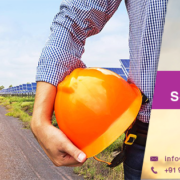 Should you wish to switch from traditional energy sources to solar, all you need to do is call our helpline number and raise your concern to the customer representative. We’ll send a team of professionals to your factory or residence where you want to install a solar panel. The team will inspect the location, do a free cost-benefit analysis (i.e. how much can you save on monthly basis by switching to solar) and guide you through the rest of the procedure. It’s as simple as that. We’ve helped many businesses and individuals already and now plan to help you. Don’t wait for the perfect moment. Makeup your mind now. Call us for more information. 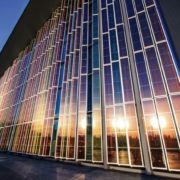 Researchers have developed a potentially game-changing solar cell that essentially does the work of plants — converting atmospheric carbon dioxide into usable hydrocarbon fuel using only sunlight for energy. 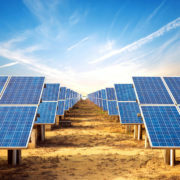 “The new solar cell is not photovoltaic – it’s photosynthetic,” said senior study author Amin Salehi-Khojin from the University of Illinois at Chicago. 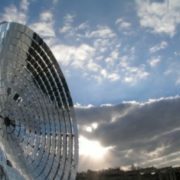 “Instead of producing energy in an unsustainable one-way route from fossil fuels to greenhouse gas, we can now reverse the process and recycle atmospheric carbon into fuel using sunlight,” he added. Chemical reactions that convert CO2 into burnable forms of carbon are called reduction reactions, the opposite of oxidation or combustion. Engineers have been exploring different catalysts to drive CO2 reduction, but so far such reactions have been inefficient and rely on expensive precious metals such as silver, Salehi-Khojin said. “What we needed was a new family of chemicals with extraordinary properties,” he added in a paper published in the journal Science. The team focused on a family of nano-structured compounds called transition metal dichalcogenides — or TMDCs — as catalysts, pairing them with an unconventional ionic liquid as the electrolyte inside a two-compartment, three-electrode electrochemical cell. The best of several catalysts they studied turned out to be nanoflake tungsten diselenide. “The new catalyst is more active; more able to break carbon dioxide’s chemical bonds,” said study lead author Mohammad Asadi. In fact, the new catalyst is 1,000 times faster than noble-metal catalysts and about 20 times cheaper. The technology should be adaptable not only to large-scale use, like solar farms, but also to small-scale applications, Salehi-Khojin said. It may prove useful on Mars, whose atmosphere is mostly carbon dioxide, if the planet is also found to have water. 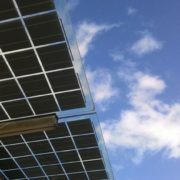 In a photovoltaic system, the centralized architecture offers the best LCOE (Levelized Cost of Electricity). Leveraging its expertise in power conversion, low and medium, voltage protection, and SCADA and automation, we has developed a comprehensive, cost-effective and highly modular solution package for the balance –of-system of a PV Plant. we provides differentiated value to its customers through seamless integration of it’s solution bricks, global multi-skill services and capabilities to engineer the most complex plant-level controls. A photovoltaic power plant system can be designed using a power conversion substation, like our s PV Box, or with central inverters. Using the optimized versions of the PV Box, customers can benefit from a reduction of the balance of systems cost, an increase of the reliability, and an improvement of construction lead times. Now you can generate electricity with solar energy panels to save energy and earn money back! Solar panel electricity systems — also known as solar pv panels or photovoltaic panels — capture the sun’s energy using photovoltaic cells and convert it into electricity for you home. Photovoltaic panels have been in use for decades and represent an environmentally-friendly means of converting solar energy into electricty. These cells don’t always need direct sunlight to work, and can still generate electricity on cloudy days. How can I earn money from PV solar panels? When you purchase your own PV solar panels , you can earn money for every unit contributed back to the National Grid. No. You won’t notice any difference. If the PV panels aren’t producing enough electricity, you’ll just use electricity from the Grid instead. Solar energy is unlikely to fulfill all of your energy needs, but it can make a significant contribution. Where can I find reputable solar panel companies? Let us help you discover how going solar can benefit you.